In my previous post about Jane Austen, I looked at the movies Becoming Jane (2007) and Miss Austen Regrets (2008) and questioned how historically accurate they were. There are obvious discrepancies taken in the name of artistic licence, such as the names and situations of her suitors, but there are also more subtle differences, like the more modern representations of her attitudes towards having a career. The best way to get a sense of who a person was – short of talking to them yourself – is to read what they have written. Obviously reading more personal accounts, such as journals and personal letters, allows you to see the person in the way they saw themselves. Their other writings, such as novels, poetry, and published pamphlets or articles, also give a sense of their voice and an idea of what interested them. Reading other people’s first-hand accounts give a sense of how other people perceived this person. Biographies, although a secondary source of information, are valuable in giving a sense of the circumstances and background of the person’s life. So it is in these places that I have sought information on the realities of Jane’s life. Jane did meet Tom Lefroy in 1795 while she was still living at Steventon, aged 20, and mentions him in her letters to Cassandra. However, there is little evidence that marriage between them was ever seriously contemplated. You scold me so much in the nice long letter which I have this moment received from you, that I am almost afraid to tell you how my Irish friend and I behaved, Imagine to yourself everything most profligate and shocking the the way of dancing and sitting down together. I can expose myself however, only once more, because he leaves the country soon after next Friday, on which day we are to have a dance at Ashe after all. He is a very gentlemanlike, good-looking, pleasant young man, I assure you. But as to our having ever met, except at the three last balls, I cannot say much; for he is so excessively laughed at about me at Ashe, that he is ashamed of coming to Steventon, and ran away when we called on Mrs Lefroy a few days ago. 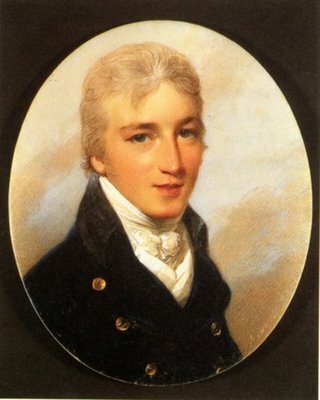 John Warren (1771-1831), who proposed to Jane in Becoming Jane, was at Oxford at the same time as James Austen. 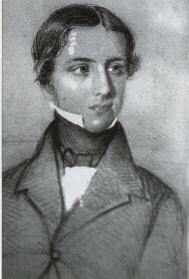 He also became a pupil of Jane’s father, George Austen. Mr Warren and Jane were always good friends and he was occasionally mentioned in her letters. The following excerpt was written immediately after the above quote regarding Tom Lefroy, in the same letter to her sister. We left Warren at Dean Gate, in our way home last night, and he is now on his road to town. He left his love, &c., to you, and I will deliver it when we meet. Henry goes to Harden to-day in his way to his Master’s degree. We shall feel the loss of these two most agreeable young men exceedingly, and shall have nothing to console us till the arrival of the Coopers on Tuesday. Samuel Blackall met Jane in 1798 while visiting the Lefroy’s and soon became an admirer of her. He had intended to visit again at Christmas but upon his return to Cambridge, where he was a Fellow, he discovered that he was not in a position to marry at present, and wrote to Mrs Lefroy to tell her so. In any event, his admiration does not appear to be returned by Jane. This is rational enough; there is less love and more sense in it that sometimes appears before, and I am well satisfied. It will all go on exceedingly well, and decline away in a very reasonable manner. There seems no likelihood of his coming into Hampshire this Christmas, and it is therefore most probable that our indifference will soon be mutual, unless his regard, which appeared to spring from knowing nothing of me at first, is best supported by never seeing him. There was one mysterious love interest that occurred in 1801, while Jane’s family was on a visit to Sidmouth from their new home in Bath. We only know this by a few scant remarks that Cassandra had made to several of her nieces and nephews later in her life. Biographer David Cecil goes into some detail about the incident. This man was handsome, intelligent and quite charming, and became quite attached to Jane over the two or three weeks that he was in town. Unfortunately, the gentleman was forced to leave on account of some business and it was understood that he would return soon to see the Austen family again. Before he could do so, the Austen’s received a letter from his brother saying that he had suddenly died. There are very few letters of Jane’s that survive from May 1801 to 1805, which leaves this period of her life quite blank. In 1802, Jane was proposed to by Harris Bigg-Wither, when she was aged 27, on a visit to the family with her sister. She accepted the offer, but then withdrew it the next morning and hurriedly left with her sister to return to Bath. Biographer David Cecil suggests that her reluctance to marry Harris Bigg-Wither might be related to the brief but strong affection she felt for the Sidmouth man. In 1808, upon a visit to Godmersham, it appears possible that Mr Edward Bridges (1779-1825), made her an offer of marriage. 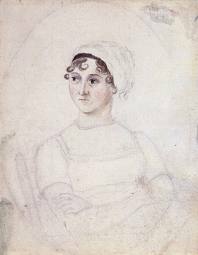 She makes a curious mention of it in a letter to Cassandra, which has led Deirdre LaFaye – an Austen expert – to suggest that it is possible that he did make her an offer, but that she refused. I wish you may be able to accept Lady Bridges’ invitation, though I could not her son Edward’s; she is a nice woman and honours me by her remembrance. One thing I can say for certain about Jane and her view of marriage is that she was well aware of the advantages of having money upon marrying. However, she also seemed firm in her views that a marriage without affection was as equally undesirable as one without money. She gave some very pertinent advice to her young niece Fanny in one of her letters, about her suitor Mr Plumtre. When I first discovered, early in my “Austen education”, that Jane Austen had never married, I remember being shocked! It seemed unthinkable that a person who could write such moving stories about life and love – stories that have stood the test of time and have charmed people born long after her death – never had her own love story. Even though Jane never married, it is clear that she had a variety of experiences in her relationships with marriageable men; some consisted of mutual friendship, others mere attraction and flirtation, at least one with a more financial allure, and possibly one with a deeper affection that Regency women regarded as a foundation for marriage. Whilst this tendency to want Jane Austen to have had a love story of her own is understandable, it is possible that this modern appetite for love and romance may cloud our perception of the realities in Jane’s life. It can prevent us understanding the way a Regency woman would perceive her own situation of singleness within the context of her own time. As someone who is interested in history, I tend to find it more interesting to try to understand this historical context of a person rather than merely watch an entertaining movie about them. Actually, this interest has often driven me from the movie theatre to the nearest bookshop in search of more information – which I can then devour over a cup of tea! 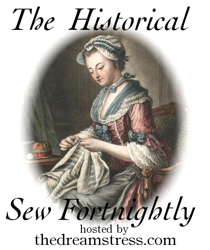 Due to space, I have decided to make a Part 3 to this post which will endeavour to explore the realities of Jane’s career prospects as a female author in the Regency era.